In the case of Sheldon Avenue, the clients brief was a calming, modern home filled with adventure and character. Our interpretation of this and the discussions that followed resulted in the introduction of a monastic, light filled entrance - sombre in quality - which acts as a metaphorical threshold between hectic London and the calmness that is home. 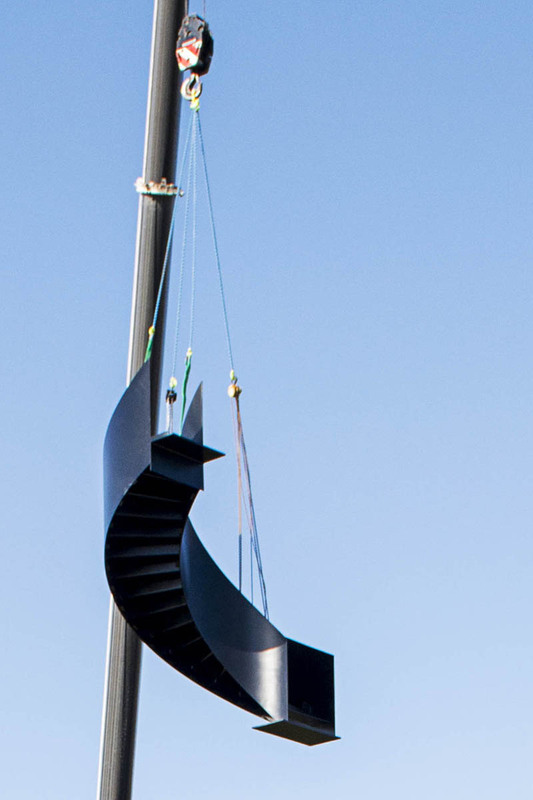 Within that space a helical staircase sits like a delicate ribbon which looks as though it was dropped from the glass ceiling above. A piece of sculpture. A piece of art. 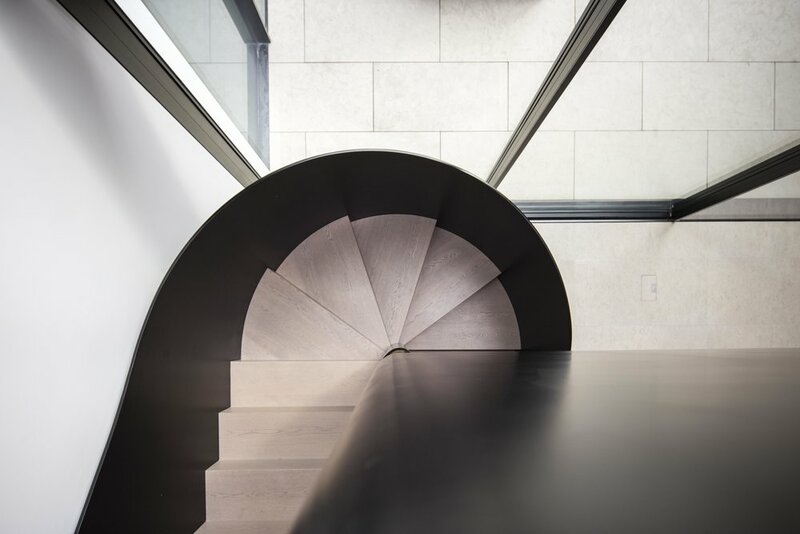 The stair was made of solid steel by Little Hampton Welding and clad in solid English Oak for warmth and continuity of the floor throughout. 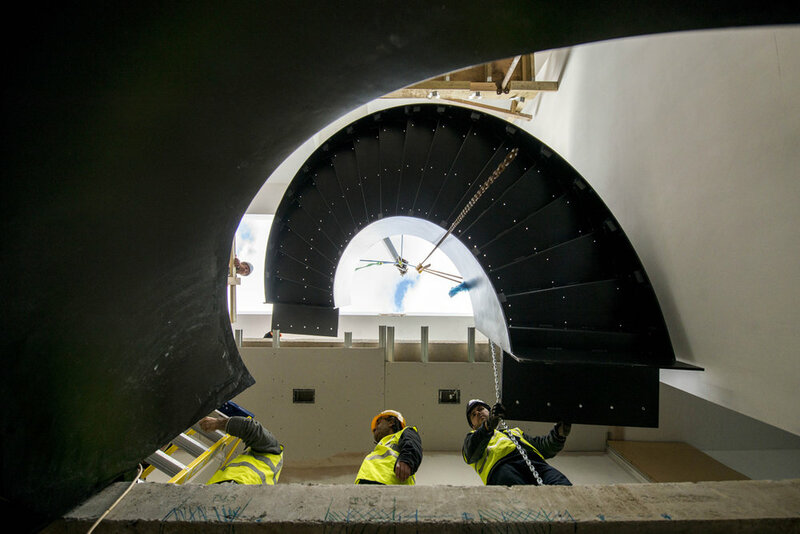 The main atrium stair for our new build luxury home in Sheldon Avenue, its genesis, fabrication and installation are the subject of this section.